 Filmed over six years, In the Shadow of the Sun tells the story of two men with albinism pursuing their dreams in the face of prejudice and fear in Tanzania. The film follows their lives before and during an outbreak of brutal ritual killings that sweep across the country. Josephat lives in Dar Es Salaam with his wife Sabella and their two children. Unlike many people with albinism in Africa Josephat has a job, working for an international NGO. Josephat was born the only albino child of 35 siblings and has spent his life as an albino rights campaigner fighting the discrimination that he comes up against each day. For hundreds of years people with albinism have been killed at birth and rejected by their communities. A lack of melanin means that people with albinism are left with little or no pigment in the skin, hair and eyes. This leads to epidemic rates of skin cancer and an average life expectancy of just 35 years in Africa. In rural Tanzania it is a belief that people with albinism are not African, leaving those suffering from the condition with little sense of racial identity in their white skin. In 2006 a 34year old albino women named Arithi was killed. Her arms and legs were hacked off and sold. Witch doctors have begun spreading a belief that albino body parts could bring you wealth and good fortune. When a second murder occurs, Josephat decides to leave his family and travel to confront the communities who may be hiding the murderers. Meanwhile In the heart of Lake Victoria, three hours from mainland Tanzania, Ukerewe Island is home to a large community of people with albinism. 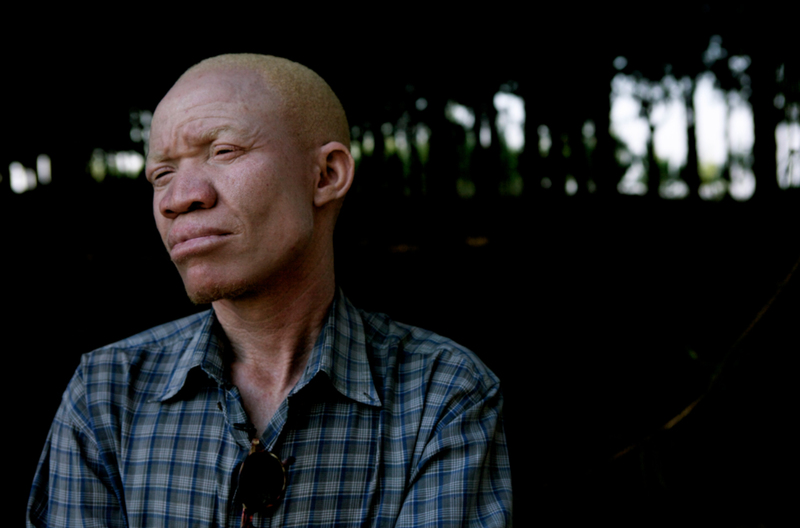 Nobody knows why there are so many albinos living on Ukerewe Island. Some say albinos were dumped there long ago, whilst others suggest there is something in the soil, which causes the high occurrence. On the island two albino men are attempting to establish an Albino Society and set out to conduct a survey to search for others like them. Through the survey we discover Vedastus Zangule, a 14 year old boy, who has been bullied out of his school and rejected by his community. Abandoned by his father at birth, Vedastus’s only relationships are with his younger brother and mother. He speaks emotionally about the verbal and physical abuse he receives each day. He is desperate to get back to school and dreams of education with quiet determination. Through the survey the Albino Society find 62 albinos living on the Island. On mainland Tanzania the escalating killings have begun to force hundreds of albino children into special government schools, surrounded by high walls and guarded by police at night. Josephat’s journey takes us to Buhangija albino school, where 118 albino children, some as young as two have been separated form their families and placed into the schools. We meet Kabula, a girl who lost her arm in an attack. She explains how she can never return home for the fear of being slaughtered by her own family. Back on Ukerewe Island, Vedastus’s mother knows the Island is now too dangerous for her son and tries to get him transferred to a safe place on the mainland. The obstacles to Vedastus fulfilling his potential seem endless as he leaves the island for the first time. He finally arrives at Mitindo - a school set-up to protect and nurture children with albinism. Despite assurances from education officials that he has secured a place at the school, Vedastus is refused – instead he is told there is ‘no more room’. Demoralised, Vedastus return’s home to Ukerewe to an uncertain future. By February 2009 45 people with albinism had been murdered in Tanzania. Most of these killings have taken place in the lake region, surrounding Ukerewe Island. The details of the atrocities are shocking; many of the victims are children. Despite death threats, Josephat fearlessly continues to travel his country confronting the communities where the killings have taken place, attempting to educate people about albinism, listening to their stories and dispelling the myths that threaten his own life. "If my body could make you rich, do you not think I too could become a millionaire?”. He takes us back to his own village where he holds a community talk with the very people who mocked and jeered him when he was a boy. He meets with a Witch doctor to try and understand who is spreading these beliefs. Josephat writes to the President of Tanzania calling on him to take action against the murderers. He organises a National Albino Day, where hundreds of people come together on the streets of Mwanza to protest against the killings. “Who knows? He says, “One day the president of Tanzania could be a person with albinism.” Touched by Josephat and albino Society member’s fight the Prime Minister of Tanzania is filmed breaking down in parliament and calls for the killings to stop and the murderers to be brought to justice. On the Island Vedastus is growing up. He spends most of his time at home alone. He passes time drawing on walls all the things he hopes to have in the future; a house of his own, a computer and a television. He makes toy cars with working lights and wheels. We see his struggles as a teenage boy as his thoughts turn to girls. Hearing the murders have now spread on to Ukerewe Josephat travels to the island, and inevitably to Vedastus. The connection between their lives is clear, as Josephat mentors Vedastus on the hardship he faces. It is revealed Vedastus’ mother is dying of AIDS: and he must quickly come to terms with the prospect of being alone in a community that rejects him. During a community meeting on the Burundi, Tanzanian border Josephat learns that communities in western Tanzania have taken there own action to stop the killings and have moved all adults and children with albinism into a special camp. The strain on Josephat is apparent and deeply saddened he travels to meet with the women in the camp. Four years have past since the killings began in Tanzania, 62 people have been killed and no convictions have been made despite 260 arrests. Finally through increased international pressure and following Josephat’s continued struggle, the Tanzanian government sentence four men to death by hanging. Encouraged by the trial verdict, Josephat holds a press conference on TV, where he announces his plan to attempt one of Africa’s biggest challenges; to climb Kilimanjaro. To embark on a journey of strength and vulnerability that represents all he has been through in his up hill struggle through life - a defiant gesture to demonstrate to fellow Tanzanians, that people with albinism can overcome any obstacle put down before them. Deeply touched by Vedas’ life that mirrors his own childhood, Josephat and Vedastus’s destinies become ever aligned, as Josephat works to find Vedastus a new school. Whilst Josephat embarks on his journey to the highest peak in Africa, Vedastus prepares to leave the island once more: Josephat has found him a place in a safe mixed school and his future awaits. This is a story of deep-rooted superstition, suffering, and incredible strength. This film reaches out to anyone who has ever felt lonely, isolated or simply different from everyone else. In the two central protagonists of Vedastus and Josephat we recognize our most basic human needs: to belong to a community of others, to forge our own sense of personal identity, and the unimaginable lengths to which we must go to preserve our dignity.